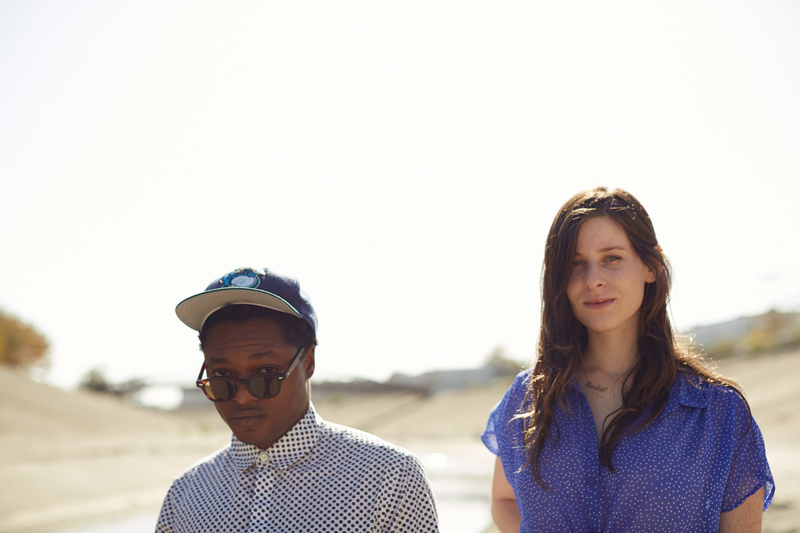 Q&A with Sasha & Theo Spielberg of Indie Rock Band, WARDELL. Sasha and Theo Spielberg are siblings and children of director Steven Spielberg and actress Kate Capshaw. Aside from obviously having the famous name attached, Wardell is a very talented duo in their own right and a musical breath of fresh air. Sasha and Theo performed together as kids in puppet shows and cover bands but only began their band in earnest in 2010, with live shows starting in 2012. Theo reached out to Sasha, his sister, to sing over a chord progression he had been “toying with” since college, which became the song “Opossum” and was named an NPR Song of the Day in late 2011. 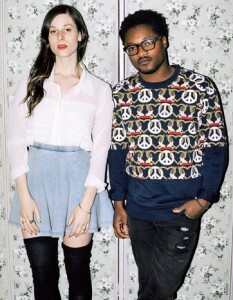 Theo said the duo created the song quickly, “like, in an hour”. The song brought the band national exposure and led to their signing with Roc Nation. The band played at South by Southwest in March 2013 and released their Brother/Sister EP in the summer. The band’s name, Wardell, is Theo’s middle name and their mother’s nickname. Sasha is the band’s vocalist and Theo plays guitar, drums, piano, and other instruments. The duo were influenced by The Strokes’ Is This It, Christina Aguilera‘s Stripped, and Janis Joplin‘s Pearl. The band is planning a full-length album. Hi Sasha & Theo! How are you guys today? What’s on the agenda today besides our interview? Sasha: I’m writing music today. Theo: And listening to Jazmine Sullivan like it’s my job. I too am writing music today! After recording your first song, “Opossum” together, you guys released your four track debut, Brother/Sister EP in 2013 (via UK-based label National Anthem). This past year you spent most of the summer of 2014 writing the bulk of your debut album, Love/Idleness (out February 2015) in your childhood home. What was that experience like, recording your first album? Was there an overall theme or vibe you wanted to capture with this album? We spent so much time with these songs over the course of two years, seeing how the songs came into themselves by playing them live. We wanted that to come across. Like we’ve really thought through these songs and we’ve played every iteration of them possible. We want them to feel fully evolved with the possibility of changing even more. One of my favorite songs off the new album happens to be your new single which is called, “Funny Thing.” How did that song come about? What was the inspiration for that song? Hey, thanks! That song started as a bassline combined with a recycled guitar lick from a previous song. It’s a funny thing! As a brother sister duo, what’s your song writing process like? How do you capture inspiration as it comes to you? Sasha: It’s incredibly honest. If I pitch something Theo doesn’t like he doesn’t waste anytime tiptoeing around not liking it in order to make me feel better. He’ll just straight up say no. and vice versa. I’ll send Theo songs that impact me daily, and he’ll do the same. And we’ll meet somewhere in the middle. I also like to look up live shows, like Tom Petty live show from the 80’s. Or Fleetwood Mac. The music industry can be very “cookie cutter” and quite cut throat and it’s always great when there are those artists that are not afraid to stand out and do their own thing. I would imagine it is a blessing and a curse to come from a famous family to prove oneself even more. Can you share with our readers some words of advice that your parents have bestowed upon you as it was clear you wanted to pursue music? I read that your influences range from The Strokes, Christina Aguilera to Janis Joplin! That is quite a range! Who are your current influences and what is in your current playlist? I love Little Ann, Jazmine Sullivan, D’Angelo record, but I also have been listening to a lot of Bill Fay, Zulu Pearls, The Dirty Projectors, and Blake Mills. What was the first song you fell in love with growing up? Sasha: “My Heart Will Go On” by Celine Dion. Classic. Theo: Probably “Semi-Charmed Life” by Third Eye Blind. If you could meet any musician or artist living or dead, who would that be and why? And if you could spend the day with them, what would you do? Mine would be David Byrne because we share a birthday so I’d probably celebrate my birthday with him and we’d blow out the candles on the cake at the same time and then play music and be weird. Who would you guys like to collaborate with in the future and why? D’Angelo and Tobias Jesso Jr! What’s on tap next for you guys? What are you most excited about for this year? We’re so excited to get our record out there! It’s been quite the process! To learn more about WARDELL, visit their website HERE .